Hesketh Motorcycle Manuals PDF & Delorto Carburetor Manual are above the page. The history of the Hesketh brand began long before the first motorcycle was built under this brand. In the period from 1972 to 1978, Lord Hesketh's team excited the hearts and minds of fans of the Formula-1 races. It was a group of young people who, without commercial sponsorship, with scant financing and almost naked enthusiasm, challenged the coryphaees of the Royal races. They did not just participate - they managed to win, to wrest victory from such "monsters" as Ferrari, for example. Of course, the existence of such a team could not last long, and after the end of the 1978 season, the Hesketh Racing team was forced to refuse to participate in prestigious competitions for financial reasons. After graduation from the history of Formula 1, the owner of the team organized the production of motorcycles in the early 80's of the last century. This idea was beautiful in its idea, but in technical terms it turned out to be untenable. 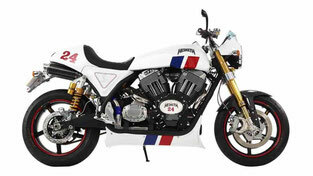 The company managed to produce only 149 copies of Hesketh V1000 before it was liquidated. Read - BLATA Motorcycle Manuals PDF & History. The revival of Hesketh from the ashes occurred in 2010, when entrepreneur Paul Sliman bought out the rights to the brand. In 2014, the Hesketh 24 model was introduced. These are modern hand-assembled limited-production motorcycles. In particular, Hesketh 24 was built only 24 pieces. The model was based on the engine S & S X-Wedge V-twin, and the concept of the model has nothing to do with the V 1000. 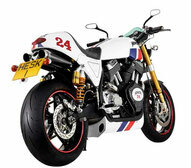 Today, Hesketh is a brand that produces exclusive motorcycles using the maximum number of parts of its own production. In 2016, the second model of the motorcycle studio Hesketh called Sonnet was introduced. Its appearance on sale is expected in the summer of 2017. Do not think that Hesketh Valiant SC is a unique offer, and its price is sky-high. In the segment of exclusive motorcycles, the competition is no less rigid than in the class of compact crossovers. It is possible to cite a couple of examples of motorcycle models that some will find more interesting than Valiant SC 2018. For example, Ducati Desmosedici (Manuals PDF page) RR. Who has not heard about this Italian motorcycle brand, but not everyone imagines how much some Ducati models cost. Specifically Desmosedici RR costs $ 75,000. 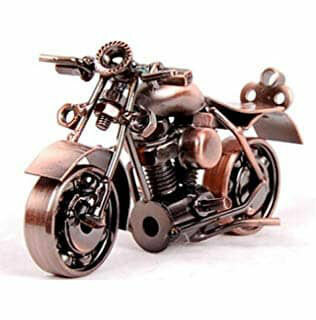 It was released 15 000 motorcycles of this model and they all found or will find their buyers in the near future. Another interesting motorcycle brand is Ecosse. Budget model Ecosse Heretic costs $ 74,800, but there are models and a little more expensive. Ecosse Titanium series RR Limited Edition will cost the buyer $ 275,000.